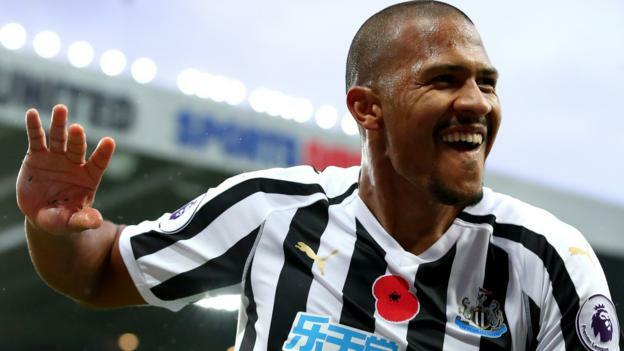 Salomon Rondon struck twice as Newcastle recorded consecutive Premier League wins for the first time since April with victory over Bournemouth at St James’ Park. Rondon put the home side ahead after just seven minutes following great work by DeAndre Yedlin, who darted in behind the Bournemouth defence to pick out the waiting Venezuelan. The 29-year-old striker then doubled his side’s advantage as half-time approached, dropping deep to collect the ball before charging into the penalty area to meet Kenedy’s cross with a powerful header. There was a long first-half delay as Adam Smith received treatment for an injury sustained while preparing to take a free-kick, and it was deep into stoppage-time that Bournemouth found a route back into the contest as record signing Jefferson Lerma nodded in Ryan Fraser’s cross. Cherries goalkeeper Asmir Begovic produced a string of fine saves to keep his side in the contest, while Jordon Ibe missed a good opportunity to equalise for the visitors who fell to back-to back league defeats.